MAP - Reading and area. Reading Hotels - Cheap Accommodation Deals in Reading READING HOTELS - IF you need a hotel room in Reading, the UK - or anywhere in the world - our discount booking service is the answer. Click here for Reading Guide's link to the LateRooms.com� database. Availability and prices are updated daily. IF YOU make future bookings, please do so from this link. YIADOM STRESSES THIS WAS MORE THAN THE 'AVERAGE' 0-0 DRAW! FROM 'GETREADING' (RIP) - 47 WAYS TO KNOW YOU'RE A ROYALS FAN! The oldest - now only - newspaper in Reading town, started life in the early 1800s as the Berkshire Chronicle - now owned by the Newsquest group. First published in 1885 as the Henley Free Press, the locally-owned Henley Standard has been a front-runner in the electronic era with some consistently lively multi-media output. The Newbury Weekly News was first published in 1867 but was among the first locally to embrace the internet with extensive coverage under its Newbury Today brand. Local news operation with focus on positive people-led stories publishers say encourage, inform and inspire. Now publishing The Wokingham Paper after sad demise of the Times. The stable-mate of the Reading Chronicle and the Slough Observer has been serving south-east Berkshire for 50+ years and its website keeps up well with the news from its patch. First published in 1869 - once had enviable circulation larger than the town's population. Still thriving and independent, with fifth generation Baylis family, Jason, at helm. Founded in 1812, and apart from a brief spell, the Express remained a family independent. It is again, acquired in 2008 by family-owned Baylis Media Ltd of the Maidenhead Advertiser. Founded in 1878, the Basingstoke Gazette went through it's first 99 years family-owned. Today, owned by Newsquest - part of the multi-media American-based giant Gannett. Trinity Mirror-owned Reading Post, is history - so is its offspring, the getreading website. Now a very pale shadow of the oldies as part of automatically-edited In Your Area. BBC Radio Berkshire has the benefit of Government funding for its county-wide broadcast and multi-media coverage - so website perhaps not the powerhouse it should be. After many name and image changes, the south's commercial TV operation has found stability as Meridian. Flagship programme features evergreen Fred Dinenage and Reading's own Sangeeta Bhabra. Reading's "community" radio station, previously part of Sir John Madejski's empire, has a lively site. Became part of the zany Jack FM brand - now the even zanier Sam FM! It started life as Thames Valley Radio 210FM - nowadays good old "210" is on 97 and 102.9FM and is owned by national radio brand Heart - which claims to be the Home of Feel Good! The new kids on the radio block in Reading saying they are the only place to hear the very best adult contemporary music plus news, weather and travel updates. Reading Borough Council has spruced up its PR and corporate multi-media in recent years and issues frequent media news releases on the key community subjects. The University of Reading, in its 92nd year, is in the top one percent of uni's worldwide, and its frequent news releases reflect its highly-acclaimed research work. There are several "Readings" in the USA - best-known is 88,000-population Reading city northwest of Philadelphia - it's local paper is the Eagle, backed up by its dot.com version. From another "Reading, USA", 16 miles north of Boston is The Advocate newspaper which feeds an excellent news service into its equally-excellent website, named Wicked Local. News aggregator which trawls the www for any story with the word "Reading", so can occasionally throw up book-reading topics - but it's a good source of interesting items. Keep up to date with all things Royal - info about the club, the team, tickets, souvenirs and more, including interviews and subscription video. Unofficial Reading FC website with plenty of well-written comment, positive and negative - but always constructive. Named after the old "Home End" at Elm Park. More than 200 former Reading players and managers are in the Association - the website has interesting info about great names of Royals' and Biscuitmen's past. Chris Lee has supported Reading FC for 40-plus years since 'Biscuitmen' days. He�s compiled a huge collection of online memorabilia including team groups from Day 1 in 1871. The Supporters' Trust at Reading (STAR) which hosts the official Royals Hall of Fame - a must-see for Elm Parkers and Mad Stadders! Running junior and senior teams and Academy sessions for players between 5 and 16 years old. Also run a senior team in the FA National Futsal League Division 2. Reading's adopted Rugby Union team, survived two relegation scares before going down in 2016. Exiles spent one season in exile, returned to the Prem - and promptly relegated again. Reading's most consistently-successful sports club - 11 men�s and seven ladies� teams. Elite squads at top of the domestic game and many international stars. Reading Cricket Club operates in tandem with the adjacent Reading Hockey Club, providing a two-pronged elite sports operation at the extensive Sonning Lane site. Performing solidly in the National South West Division One (East). Founded in 1898 as Berkshire Wanderers, they still field a Wanderers XV. Originally for youngsters from non-rugby-playing schools, Abbey went senior in 1956, acquired a 22-acre site at Emmer Green and are now very successful. Founded 1926, now nicknamed The Rams. 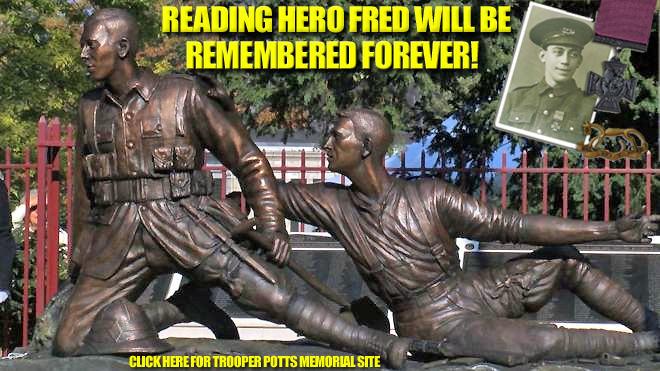 Originally for former pupils of Reading School. Teams in all age groups - currently National League 2 South. Has promoted cycling in Berkshire since 1974. With over 200 members, it is dedicated to giving cyclists the opportunity to race, ride and enjoy two-wheel life. Club has a proud history with past Olympic stars such as Ann Packer, Bev Callender and Britain's most successful female sprinter, Kathy Smallwood. Friendly community rowing club located on one of best stretches of upper Thames, with access to 6km of river, Caversham Bridge to Mapledurham. Founded as recently as 1997, Rockets had spectacular lift-off and now run age-group, ladies and seniors teams. Consistently at top end of NBL Division 1. Reg Fearman (still going strong at 85) brought Speedway to Reading in 1968. Smallmead closed in 2008 but Racers faithful have a team which races at Eastbourne. The Magpies are flying high, now one step from the Football League. They have a unique boast - York Road is the world's oldest football stadium used by the same club. An ambitious, progressive club but failed to make it out of the Evo-Stik Southern Prem last season. They hope for better this time. Mascot Stokie walks even taller than Kingsley Royal! Few sporting venues match the history or rich heritage of Ascot. Queen Anne, staying at Windsor Castle in 1711 who first saw the potential for a racecourse. Newbury Racecourse is more than 100 years old, combining heritage with a modern sports/events venue. Constructed in 1904/05 - at a cost of �57,240! The local area has racing links dating back to Henry VIII, but the first race meeting at Windsor was not until 1866. The country's only figure-of-eight flat course. One of the leading clubs in the Thames Valley, Hawks are among the country's top 50 - 2014/15 champs of National League 2 South but now back in that division. Bracknell RFC has an illustrious pedigree, founded in 1955 by Welsh and Cornish men new to the New Town area. Now in National League 3 South West. The Blues, a focal point for the West Berkshire rugby community, are always competitive, and often successful in South West Division One (East). ON the night when Reading FC clinched a place in the Championship play-off final at Wembley in 2017, there was almost as much drama off the field as on it. Because while Jaap Stam's team battled to their heroic 1-0 win over Fulham, in the boardroom the deal was being signed and sealed to sell a majority shareholding to Chinese billionaire sister and brother, Xiu Li Dai and Yongge Dai (right). For the previous six months, the existing Thai owning consortium had reportedly been ready to sell a controlling interest. The Thais intended to keep 25pc of the club shares and the entire "Royal Elm Park" development project around the stadium. The sale was not sanctioned immediately by the Football League, but a Royals club statement confirmed that a potential deal was still in progress. CLICK HERE for club statement. It was in November that the pair�s interest was first revealed, but it�s believed the Football League was originally cautious about sanctioning their takeover because questions had previously been raised about their aborted bid to buy Hull City in August last year. That was apparently vetoed by the Premier League, reportedly not for a problem with the brother and sister, but because of others involved in their bid. 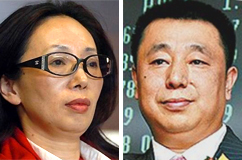 Yongge Dai and Xiu Li Dai are among the wealthiest and most influential people in China. Their father is a former head of the China Central Bank, and the pair are billionaires on the back of a network of underground shopping malls in cities across China. In early 1992 the Chinese government began to look for alternative uses for a number of huge Cold War-era underground bomb shelters. Joining forces with her younger brother, Xiu Li Dai, then living in London and married to British teacher Tony Hawken, formed Renhe Commercial Holdings, an investment company which started to transform several former military bunkers into shopping malls. Profits were generated through shop rents and management lease deals and by 2008 Renhe had earned a listing on the Hong Kong stock exchange. Having built the empire of shopping malls to over 30 Chinese cities, Renhe sold that side of the business last year for a billion US diollars, investing instead in major expansion of an agricultural wholesale markets business it had acquired in 2015. The company website lists its �business model� as : (a) the leasing or providing of space in the form of trading halls or open areas to traders for the trading of agriculture produce; (b) the leasing or providing of warehouses, icehouses and other designated space to the traders for the storage and packaging of agriculture produce; (c) the provision of transportation and third-party logistics information services to traders; (d) other value-added services including packaging of the agricultural produce. Xiu Li has appeared in a recent version of the influential Forbes Rich List as having a net worth in excess of two billion dollars. She and Mr Hawken were divorced in 2014, rather bizarrely because he was quoted as saying he did not enjoy the lifestyle of a billionaire, or the time they spent apart while she was on business in China. They met on a blind date after she arrived in England in 1991, and it was whilst living in South Norwood, near Croydon, that Xiu Li developed her interest in football, attending various Premier League matches with the couple�s son, William. On the back of that, Xiu Li and her brother bought a Chinese League club, then based in Shaanxi, but now relocated to the capital, and known as Beijing Renhe. That, presumably, will become a sister club to the Royals, although in recent seasons it has not been a great success, suffering relegation two years ago to its present Division One status, finishing fourth there last season. The club plays at the 31,000 capacity Beijing Fengtai Stadium. 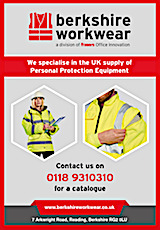 A great chance to freshen up your office this Summer! 16/08/2017 WHY THOSE 80s BANDS ARE STILL THE KINGS OF MUSIC! 2016 is likely to be the year plans are fully approved for a huge development around the Madejski Stadium. Is that a good idea? Poll started 18/03/2016. Vote to see the results. YES - It's a really imaginative scheme which will add to matchday experience. NO - Let's just stick to football and forget all the peripheral stuff!